With the gracious gifts of time and funding, our community came together to revamp our space and in 2017 the new face of Woods Hall opened its doors. We now offer a lovely updated retail space for our local artisans to display and sell their wares. A must see location on your trip to Madeline Island. Our Lovely wall rack of hand loomed rugs… one of a kind each of them, an island treasure to last many years. In the gallery you will find house thrown pots, and hand loomed rugs, hand fabricated silver jewelry and beaded jewelry made of semi precious stones, we have knit goods, eco dyed scarves, fine art paintings for your collection, handmade greeting cards, local photography, books of photos or poetry, tumbled rocks from the shore of the Great Gitcheegumi… we have soaps made with love and Lake Superior water, island poured candles, beautiful shawls…. the possibilities are as endless as our artists’ imaginations. With over 70 Isand artists selling their work here there is truly something for everyone..
Texture and color and beauty will surround you in this space. 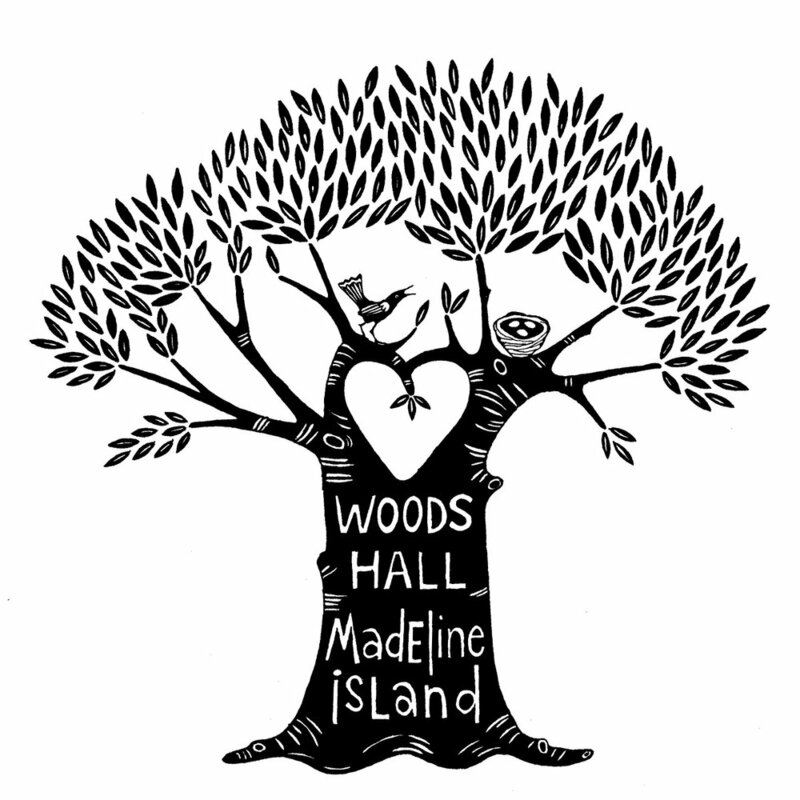 The talents of the creative souls that are drawn to Madeline Island are as endless as the beauty that we bask in on the island. Inspired by the beautiful place we all live and love, Lake Superior, the woods, the sky… the natural beauty of the Apostle Islands and the Greatest of Lakes offers endless inspiration for many of our artists.